Whether you are in for a pick-up game, or just want to practice your hook shot, you can come to Central Park to play basketball. 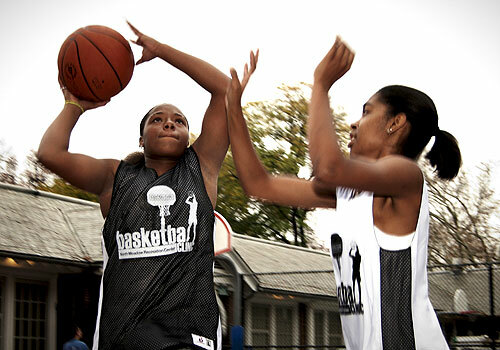 Basketball is available free of charge at two sites in Central Park — the Great Lawn and North Meadow Recreation Center. Basketballs are available with a photo I.D. at the recreation center only and basketball nets are supplied at both sites. No permit is required, and courts are on a first-come, first-served basis. The courts are open from 10am-8pm daily at the North Meadow Recreation Center and 9am to 8pm daily at the Great Lawn. The New York City Parks Recreation Department website has a complete listing of all municipal basketball courts in New York City, and how to reserve them.